This week on The Bugcast: two acting legends leave us, two celebrities do/don’t have a baby, and we play 8 cracking tracks of Creative Commons music from Brunk, Omonoko, The Jarmoosh, Backnbloom, Osmel Ox Fabre, Carter Vail, MuezeeN, and So Far As I Know. 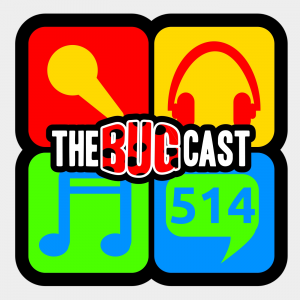 the bugcast 514 – What A Harry On! This week on The Bugcast: design fail on a piece of Royal-themed swimwear, our roundup of the Political Popularity Showdown that is the Eurovision Song Contest, and we play 8 amazing tracks of Creative Commons music from Ping Pong Club, Zingeoline, 25th Parallel, Slingshot Miracle, JekK, The Silkway Riders, Carter Vail, and Schnitzel Flame.